Your guide to summer fun is here! 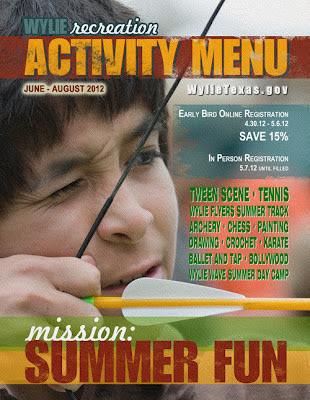 Flip pages online, browse activities and register online, or pick up a hardcopy, today! Standard Registration online or in person begins Monday, May 7, 2012 at 9 am and runs until courses are full. Recreation Pass Holders save 15% on registration fee for most activities. Also, don't miss out on FREE Course Demo week, Monday, April 30 - Friday, May 4, 2012.